I wanted to share something with you that has been on my heart for a very long time. 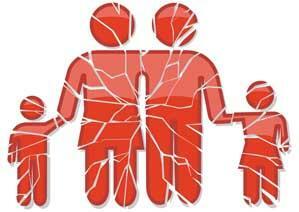 I feel as though families are fractured in many ways, mine included. We go about our busy schedule and each of us, as a family unit, is being pulled in different directions; whether it is sports, music, school, jobs, and even ministries. I have seen in so many families, even mine, that we want our families to be on mission together and serve our Lord together, but we don’t foster it even in the day to day activities. Do I gear my whole day around teaching my kids the importance of family time, or do I just try to get through my day with all the commitments I have made? I have been learning, slowly, the art of saying no to things. Even things that might seem good and right, to save myself for my family. This also includes limiting my children’s time away from home. I have heard many parents say that they want their kids to be in multiple sports because they want their children to not sit idle at home. Although, what if instead of placing our kids in multiple sports or other extra curricular activities we take that idle time and do something as a family. This can be an incredible time that we can take the opportunity to disciple our kids and teach them about loving others into the kingdom. I will be the first to admit that I am just as much at fault at this as anyone. To live in this world, especially our culture in America, it is really hard to have this shift in our minds to spend less time entertaining our kids and more intentional time with them. Another thought that has been on my heart is serving our children as well as serving alongside our children. I have loved the opportunity to teach my son in his class at church. His face lights up when he sees me come in and he gets to have his mom as his teacher that day. It can also demonstrate to him that I value the time he is learning about his Savior and that I want to play a part in that. With my daughter I love serving with her. I love to see her work with the kids and see her light up getting to do it with me. It blesses my heart to see her mature and take care of these kids and for her to teach them some of the disciplines that we have taught her; which I can tell you are few and far between. I want to walk alongside them in their spiritual journey, but I know how hard it is to figure out how to do that. I came across a blog written by a mom about what the scripture says about the fractured hearts of both parents and their children. It was pretty impactful to me and really made me think about where my heart lies. I so often have all my intentions in other places, other than teaching my kids and preparing them to be disciples. I believe the Bible speaks volumes about the family and about parent/child relationships.